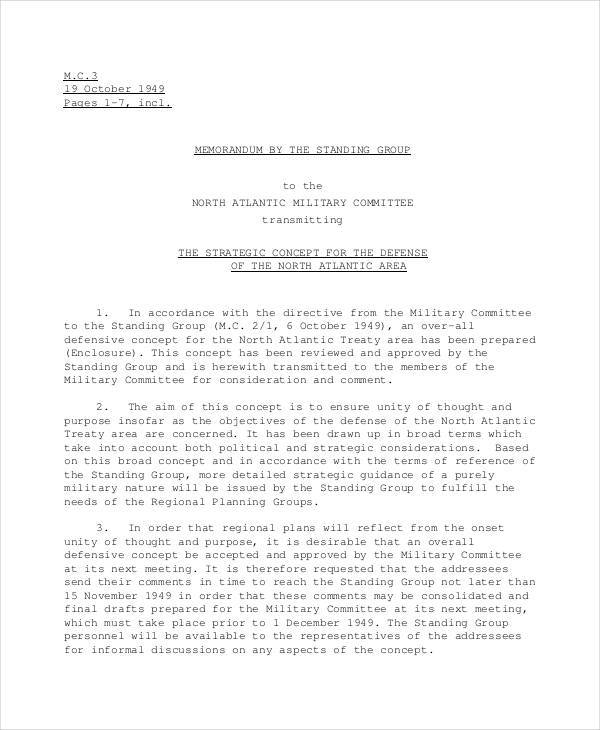 Legal memorandum and other types of memos present analysis and research discussions in a way that is more straightforward than a formal letter. So how do you construct a document that is informative but will not take you pages after pages of written information? Memorandum usually uses bullets to highlight the major points. 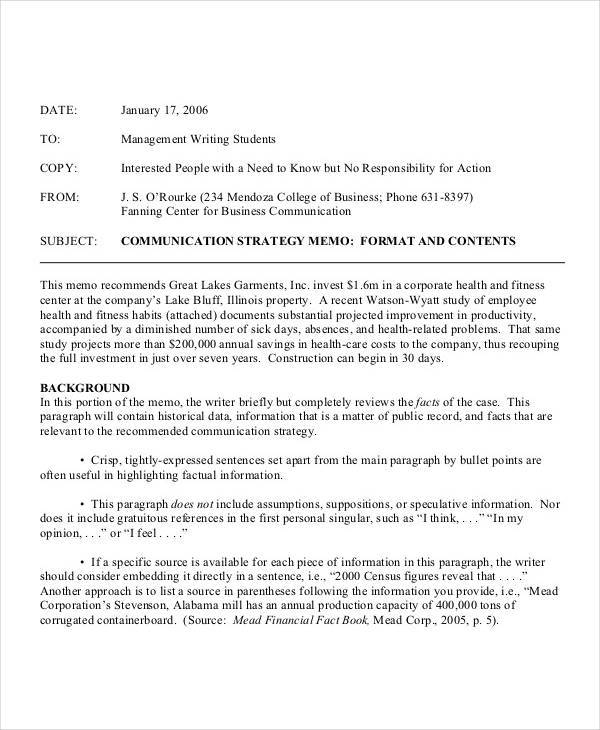 Guidelines for effective memo formatting is actually very helpful to keep you from going out of the topic, but the better way to do this is to write first all the information you want to deliver and avoid thinking about the limitations of your words. When you’re done, you can now narrow down your message but still, keep all the important details. What Is a Strategy Memo? 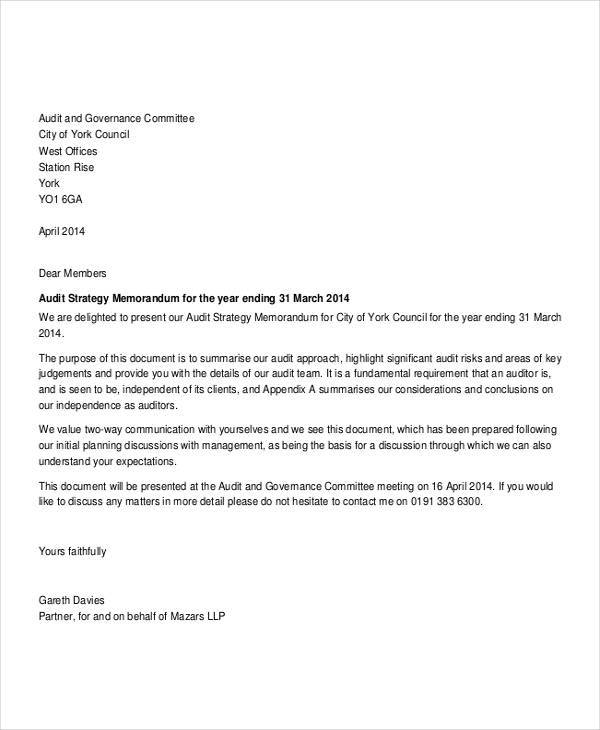 Memorandum is a short written document that delivers information, analysis, or recommendation. It is a form of communication used within the staff of an organization, usually initiated by managers or supervisors. 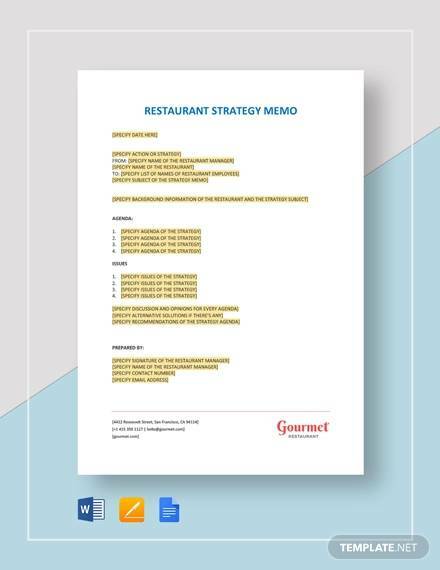 A memo that effectively communicates a detailed strategy within the organization is called a strategy memo. It is a written form of discussion of a proposed business strategy that will make the company more successful and the rationale behind the recommendation of such a strategy. 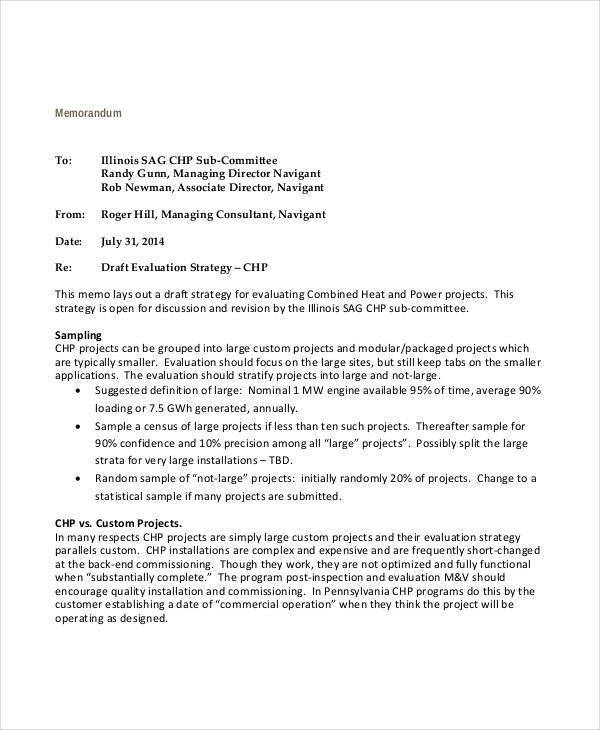 Sample memos suggest that a good strategy memo covers a great area of a topic by writing in bullet forms. 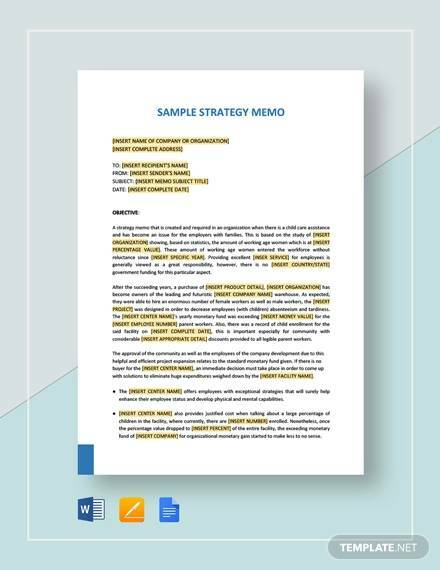 Legal memo and strategy memo are composed of similar basic sections, but most memorandum samples do not always inform you how to write a confidential one. 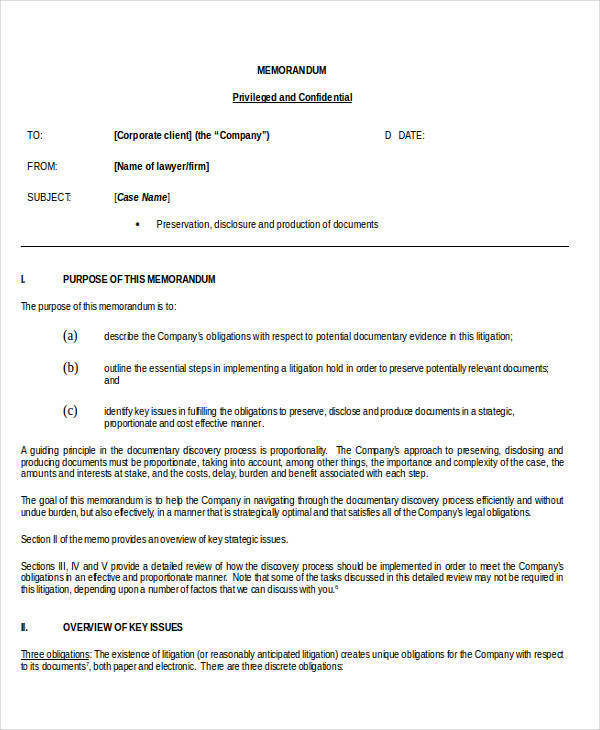 Label your memo with “Confidential Memorandum” or plainly “Confidential” at the top. Address the memo only to the person you want to receive the information. Immediately begin the discussion about the issue you want to address for developing the strategy. For the next paragraph, describe the strategy you intend to apply for the company. What are the steps needed, who are the people required to implement the strategies? 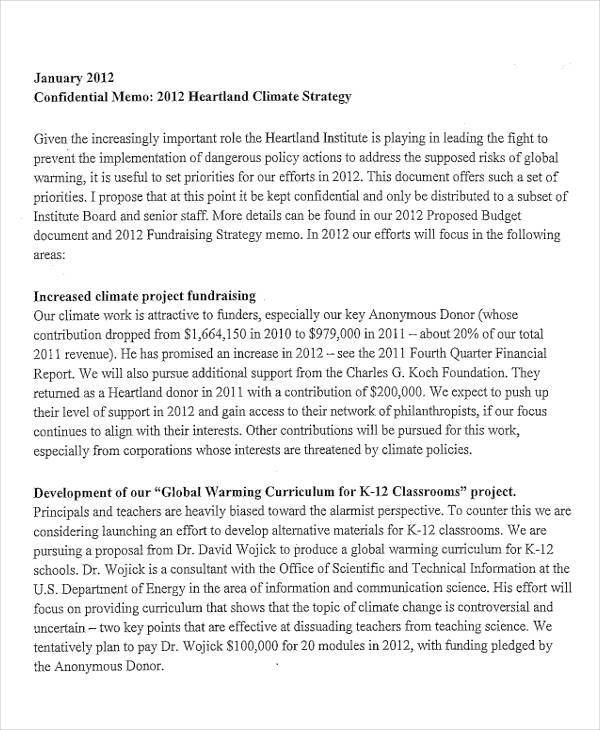 Closing paragraph should include another reminder that this is a confidential memo.